May's Mindful Living Calendar invites you to deepen your awareness and explore the teachings in the Daily Calm. 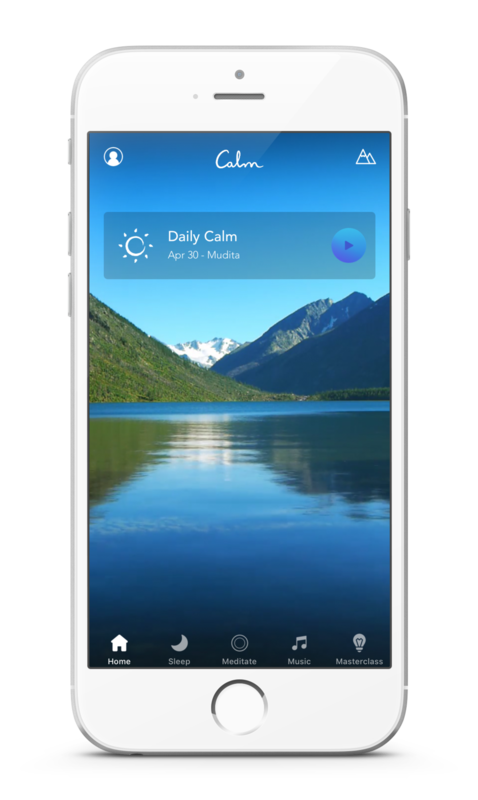 Every day in the Calm app, we release a fresh new 10-minute meditation called the Daily Calm. The first 8 minutes guide you through a meditation while the closing minutes offer a mindfulness teaching that you can apply to your meditation practice and your life. Our monthly calendars offer daily mindfulness challenges. They're not just another thing to add to your to-do list but rather a means to check-in with yourself and wake up to your life. This month, over half of the daily challenges build upon the lessons and themes presented in the Daily Calm meditations. It's an awesome opportunity to boost your practice and get to know the inner workings of your mind and heart. Inspired by feedback from last month's #YearOfCalm Survey we've made our Mindful Living Calendar available as a desktop wallpaper, a subscription to your default calendar service and a printable PDF. We hope you enjoy the new formats! 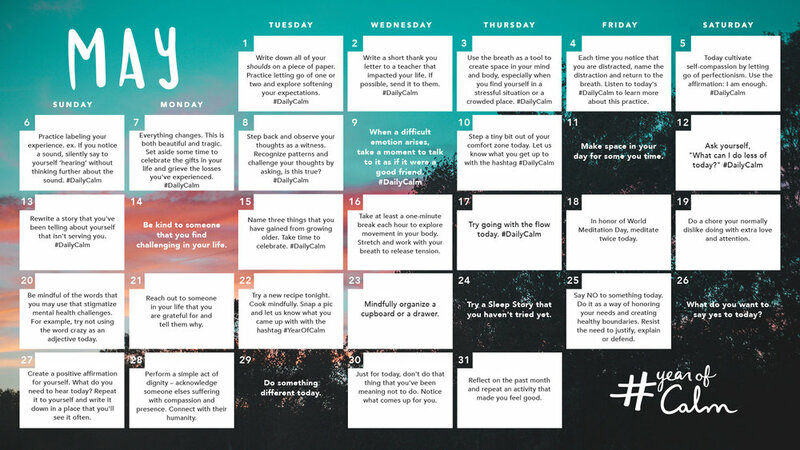 Make Calm's Mindful Living Calendar your wallpaper on your desktop or tablet. Select your Desktop or Tablet Screen resolution here. You're joining thousands of people from across the globe in this mindful adventure. Please share your experience and follow other people's journeys using the hashtag #YearOfCalm or #DailyCalm on Instagram, Twitter, Facebook, and in the Daily Calm Community.